Commercial building, zoned C-2, with plenty of possibilities. 768 sq. ft. office/ 1 bedroom apartment with kitchen, living room, full bathroom, bedroom and mudroom. Total of 4416 sq. 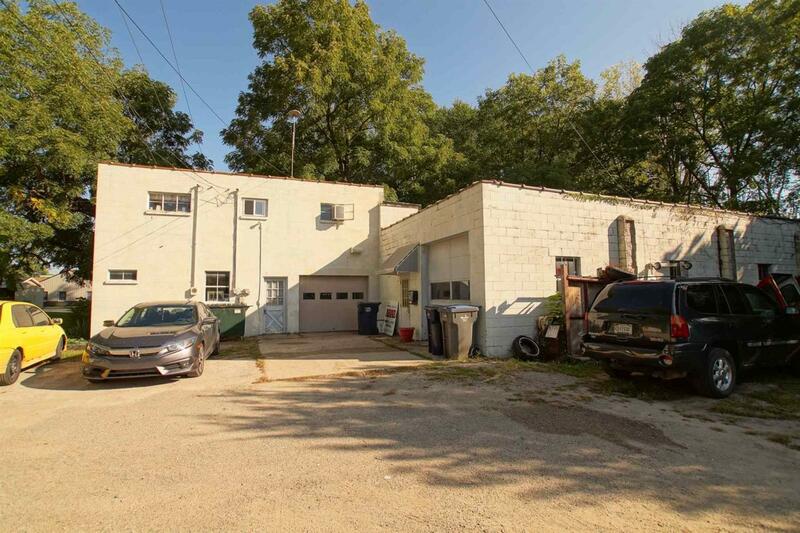 ft. of heated storage/shop building with 768 sq.ft. having 8 ft ceilings, 1/2 bathroom, 1 walk-in door and one 7' overhead door; 3648 sq. ft with 12 ft. ceilings, 10' overhead door, 3 phase 200 amp electric service. Office and 3648 sq. ft. storage/shop building currently rented to commercial tenant. Tenants rights remain. Due to recent Re-Plat - property taxes are estimated at $2631/yr.